Arkansas’s uniquely inhumane and disgusting plan to execute 8 men in 10 days in order to beat the expiration dates on the drugs they plan to use has hit two setbacks. Late Wednesday night the Arkansas Supreme Court stayed the execution of Stacey Johnson who was set to die by lethal injection Thursday, Reuters reports sending his case has been sent back to trial for reconsideration of DNA evidence. In a separate incident, a state circuit judge issued a temporary restraining order preventing the state from using pancuronium bromide, one of the three drugs Arkansas used for its executions. In the latter case, Pulaski County Circuit Judge Alice Gray ruled in favor of McKesson Corp., who claimed they had sold the drug to Arkansas under false pretenses. ABC News reports that McKesson thought they had sold the drug to the state for medical use only and “that it would suffer harm financially and to its reputation if the executions were carried out.” According to a state prison official’s testimony in the drug case, he “deliberately ordered the drugs last year in a way that there wouldn’t be a paper trail, relying on phone calls and text messages.” A McKesson salesman presented the texts at the court hearing, which showed no mention or indication that the drug would be used for lethal injections. Governor Asa Hutchinson’s seeming disregard for the life of human beings was clear in his statement given Wednesday night in light of the news. The Washington Post reports that he was “surprised and disappointed” by the decisions made by the Arkansas Supreme Court. Stacey Johnson was convicted of the sexual assault and murder of Carol Heath in 1993, who was killed in her home while her 6-year old daughter watched. Johnson’s lawyers say that the child’s testimony has been proven unreliable by experts and that his execution should be put on hold to allow for new DNA testing, the kind of which was unavailable in 1993 when Johnson was on trial. Another inmate, Ledell Lee, is also facing execution on Thursday but his appeal for further DNA testing was denied. Lee and Johnson are two of the eight men Arkansas plans to execute; each inmate slated to die by lethal injection has appealed their case. 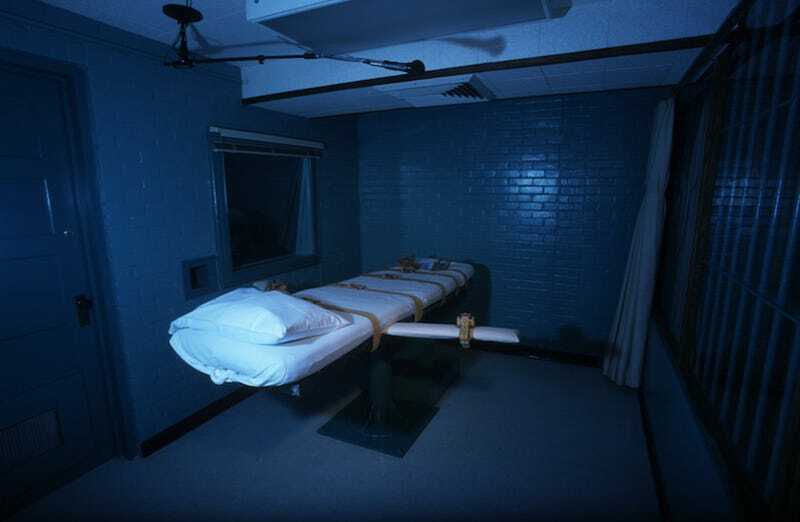 On Tuesday, the U.S. Supreme Court decided to halt the execution of Don Davis, who spent Monday night eating his last meal while state and federal courts deliberated over whether or not he would die by lethal injection. ABC News reports that four out of the eight inmates have received stays. If the Supreme Court overturns the decision made by Judge Gray or if the state somehow gets its hands on another supply of pancuronium bromide —ostensibly sold to them by someone who understand it will be used for executions —the four remaining executions could proceed as planned.